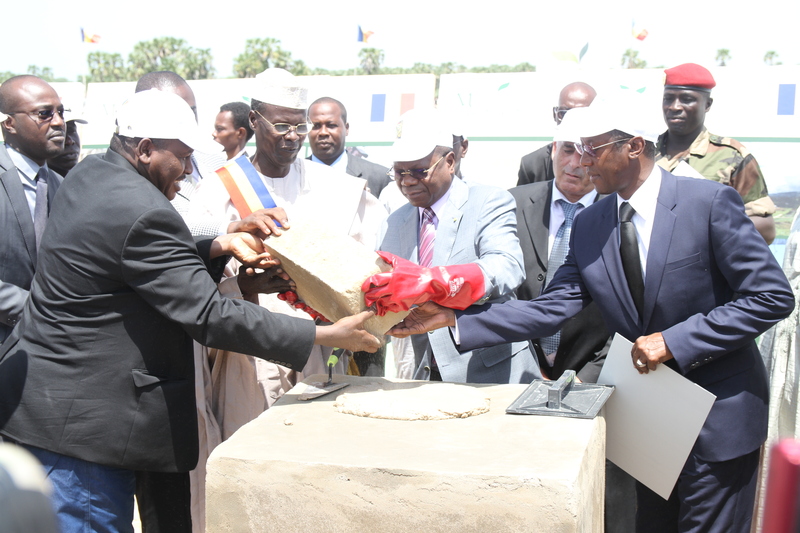 The Prime Minister of Chad, The Honorable Kalzeubet Pahimi Deubet laying the cornerstone for four farms to be established by Mori Investments in cooperation with the LR Group. The project, initiated four years ago with the goal of delivering top produce at affordable prices, consists of three multidisciplinary farms and one dairy farm. The farms will create a new level of agricultural activities enhancing food security and providing for the wellbeing of the people.